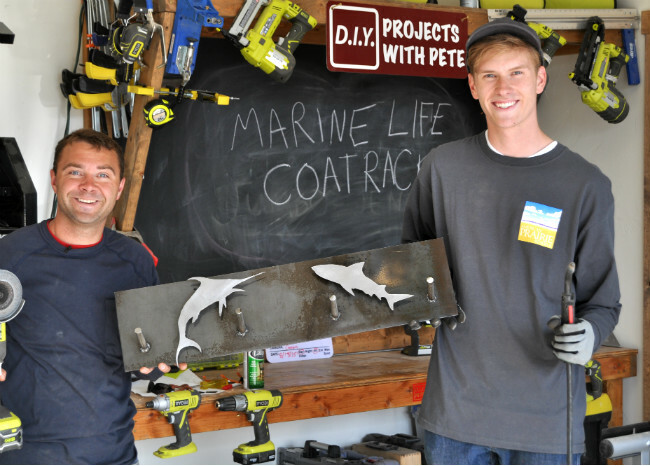 Learn how to make a marine life metal coat rack with plasma cut designs. I collaborated with my cousin Peder Sveen, who is studying Marine Biology in Idaho. 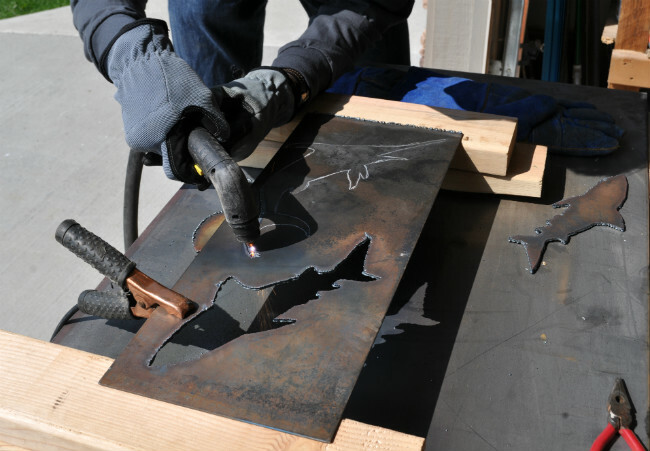 We used the plasma cutter to cut out a shark and swordfish. 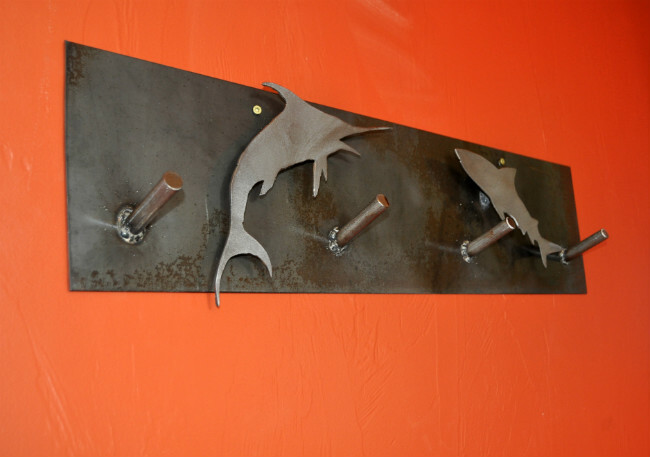 We had a great time making this and he is happy with his custom, marine life metal coat rack! Be sure to watch the video (above), as it shows a lot more of the how-to steps and details of this project. Below are a few photos from this build. First, we used Adobe Illustrator to design a shark and a swordfish. From Illustrator, we moved to my vinyl decal cutter to print out the designs for the marine life. 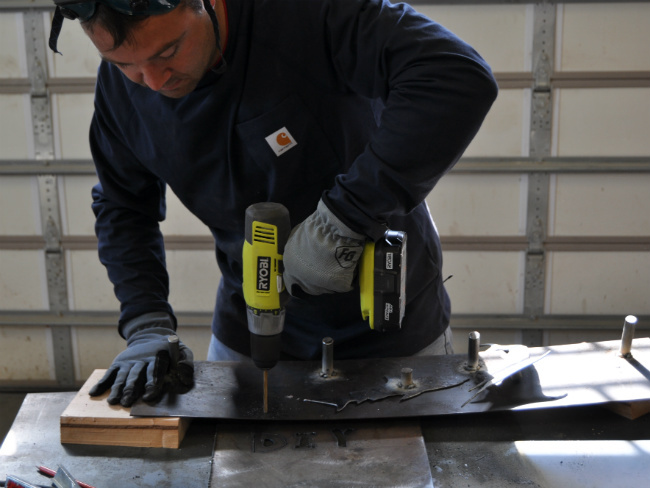 After cutting the 14 gauge steel sheet to size, we used the excess steel for the plasma cut designs. 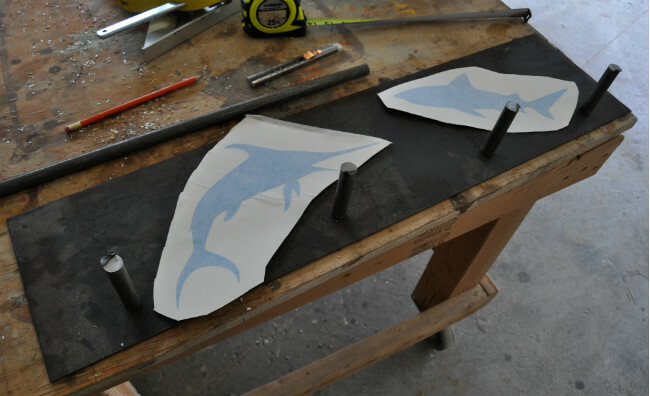 The decals gave us a perfect design to follow, on the steel, while plasma cutting the shark and swordfish out. 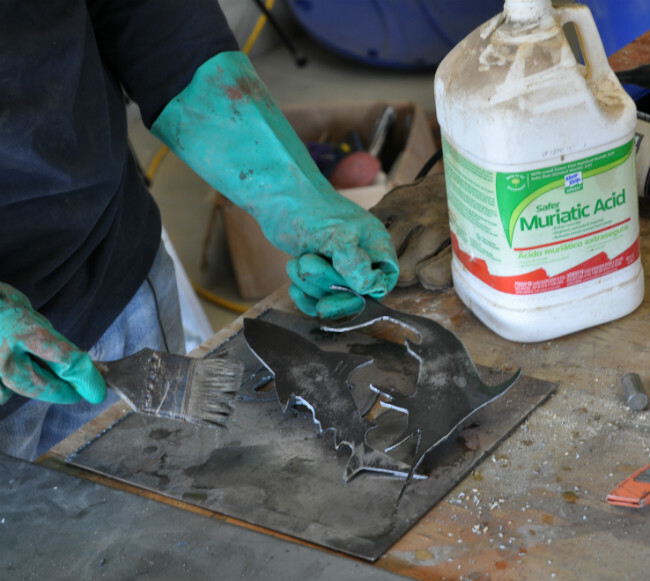 After cutting the designs out with the plasma cutter, we used the angle grinder to clean them up. 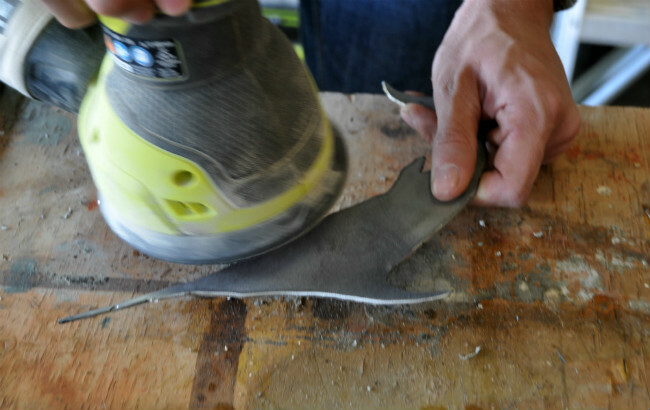 We then sanded the edges and surface even smoother with an orbital sander and 220 grit sandpaper. 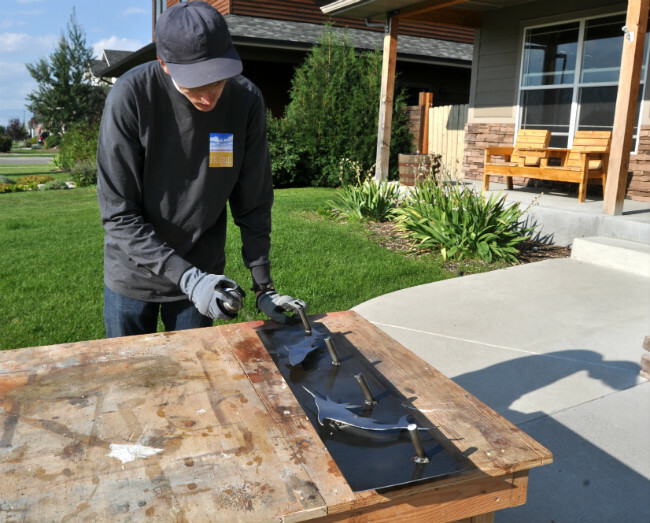 Together, we welded the coat hangers onto the steel back, drilled the holes 16″ on center for mounting, and welded the shark and swordfish on. 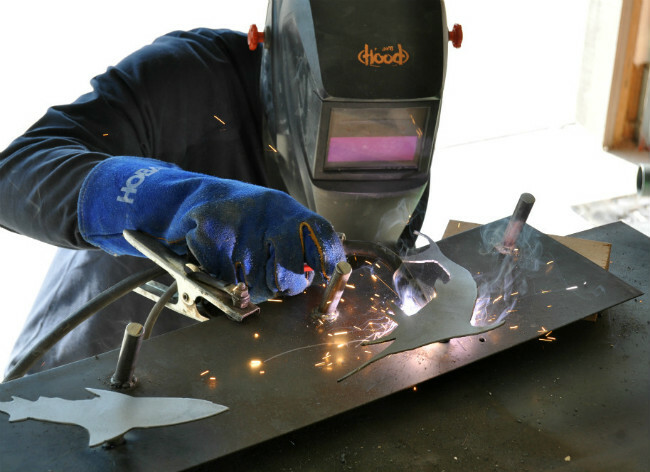 The coat hangers are 1/2″ thick steel rod that we cut to 3 1/2″ long. 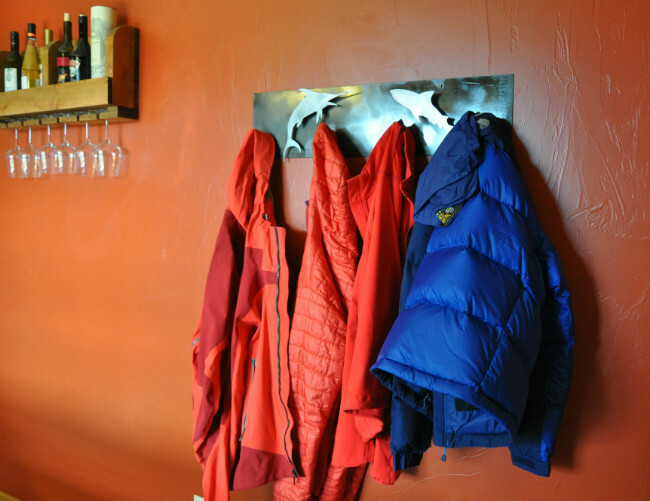 The coat hangers are spaced roughly every 9″ across and 1 3/4″ up from the bottom. The steel rods attached to the marine life are 1/2″ thick by 3/4″ long. After some more light clean up on the piece, we finished the whole piece with a steel spray finish. We mounted it into the wall with screws and hung up our coats and hats! What a cool touch to any wall! Peder should feel pleased and accomplished whenever he sees this in his dorm room. We had a great time making this project. 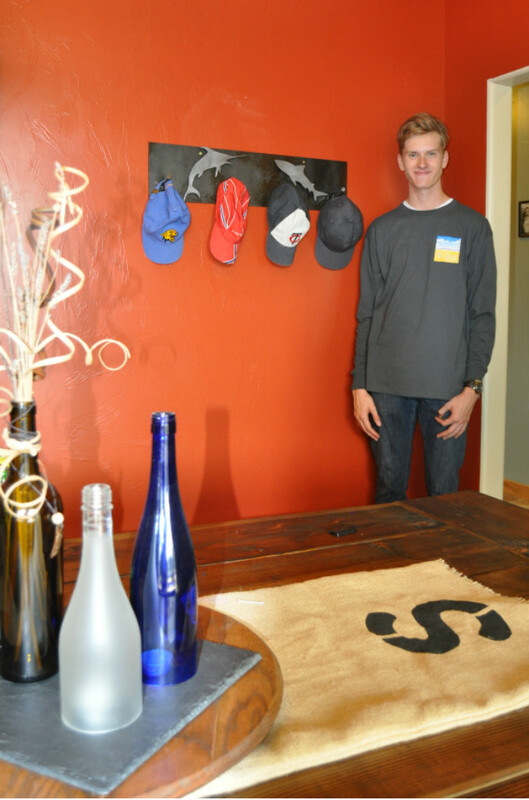 Peder standing next to the marine life metal coat rack! We had a blast collaborating on this and he had a did a great job on the metal working. Have you built a cool project with a family member lately? It's always great to spend time with family and making art! Please comment below and share photos, I'd love to hear about it!